Myrna Moussignac born in Port-Au-Prince, Haiti on January 13, 1962. She was raised in a family of five, two brothers and 2 sisters, where Ms. Moussignac was the oldest. 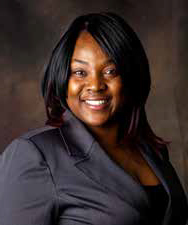 She left Haiti in 1984 to attend college in Chicago, Illinois, where she obtained an Associate degree in Accounting. She also studied interior decoration in Puerto/Rico in 1989 and in 1991 studied public relations at Darden University in Virginia, obtaining a Bachelor Degree. 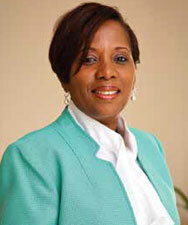 Ms. Moussignac is a former Consul General for the Haitian Government in the Bahamas. She has worked with the Haitian Government for 10 years, both locally and internationally. Ms. Moussignac, also worked as a Coordinator for the Joint Task Force Mission, of US Marines in Haiti. Along with her service in Government she is also proud being a seasoned world Traveler, traveling to Europe, Japan, South Korea, Thailand, Bolivia, Chile and Curacao to name a few. Samantha Loomis, born and raised in Boston Massachusetts later moved to Miami, FL where she pursued her college degree at the University of Miami. 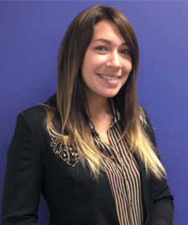 Through her internship with the New England Patriots in 2006, she learned her vast skill in marketing and communications. After university, Samantha opened her company “Samantha Jaclyn Management” representing fashion designers to wholesaler and retailers, as well as marketing and managing their lines. Today, Samantha is running her company as well as getting ready to launch “FirstStreetFashion.com”, an online boutique and fashion blog. Samantha has always had a passion for helping others in need. She spent a long time getting to know a Haitian family, and grew to love them but most importantly, their culture. When Ms. Loomis was introduced to HATT, she immediately fell in love with not just everybody involved, but the true cause and purpose of their mission. HATT focus group is a form of qualitative research in which a group of professionals are asked about their perceptions, opinions, beliefs, and attitudes towards our product philosophy, our idea of services, HATT’s ultimate premiere concept, advertisement, idea, or packaging on how to recruit potential leaders. Questions are asked in an interactive group setting where participants are free to talk with other group members.